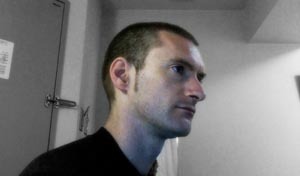 Alan Lambert is a visual artist working primarily in independent video and film-making, particularly making music videos and visual mixes for live events. He composed soundtracks and instrumental music during the 1990's and has recently returned to musical composition and arrangement in his personal work. 'South Shore' was inspired by a recent trip to Bermuda where the clarity of the sky and the sea in South Shore itself influenced the arrangement of the and the seductive rhythms of the tides determined the structure, which simply 'comes back' again when you think it's finished.